Have you ever wondered what the oldest living languages are? That question is harder to answer than it might seem at first. The origins of many languages are lost in time, and it’s hard to say which is the oldest. Hebrew is the only living language remaining in the Canaanite family. The oldest Hebrew inscriptions date back to 3,000 years ago. But by 400 CE, it was hardly ever spoken. People still studied the language. It was used in Jewish religious ceremonies and in literature and poetry. But they didn’t use it in their everyday lives. Languages die when people don’t speak them. So, how did Hebrew come back from the dead? The change began in the late 19th century, as Jews began to return to Israel. Some began using it at home, with their families. Then, it moved to a language of instruction in some schools. And finally, it became the language of everyday life, with Jewish immigrants to Israel from around the world obliged to learn it and speak it. In 2004, archaeologists unearthed earthenware burial urns inscribed with a “rudimentary” Tamil Brahmi script carbon-dated to 500 BCE. So far, this is the oldest example of Tamil. By 300 BCE, Tamil already had a thriving literary tradition. How old is the Persian language? Old Persian goes back at least to the Achaemenid empire, which lasted from 600 BCE to 300 BCE. The oldest inscription we’ve found so far in Old Persian dates back to between 522 BC and 486 BC. Darius the Great composed the inscription. However, it’s unlikely the great king took a chisel to the rock himself. Through conquest, the Persian language spread throughout Iran and Central Asia. Today, it’s still spoken under the local names Farsi, Dari and Tajik today. 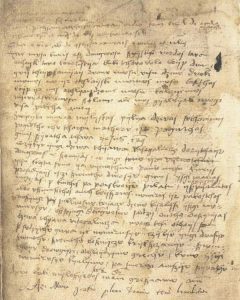 On one hand, the earliest written record we have of Lithuanian is from 1500 AD. On the other hand, Lithuanian is one of most conservative Indo-European languages. In many ways, it’s as close as you’ll get to Proto-Indo-European. It also has quite a bit in common with ancient Sanskrit, Latin, and Greek. 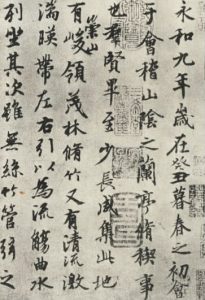 The earliest written examples we have of the Chinese language are from around 1250 BCE. That said, the language likely goes back much further than that. Some scholars believe it has roots in the Yangshao culture. 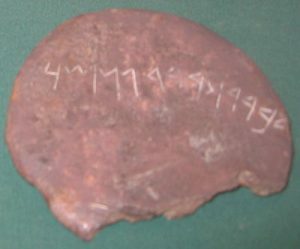 At 5000-6000 BCE, scraps of pottery from Yangshao currently hold the Guinness World Record for the earliest written language. Basque is a language isolate. It’s distinct from any other language in Europe. Therefore, linguists believe it predates Indo-European’s arrival on the continent. It is quite possibly the oldest language in Western Europe. Where is Arabic spoken? The 22 states that make up the Arab League, plus some additional parts of Asia, Africa, and Europe. The earliest known of examples of written Arabic are personal names dating back to the 9th century BCE. By the end of the 8th century CE, a standardized version of Classical Arabic was in use for Arabic poetry and literature. Classical Arabic, in turn, developed into the Modern Standard Arabic used today. 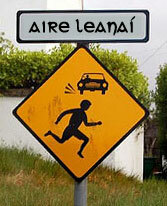 How old is the Irish language? Older than the oldest known Ogham inscriptions, from the 3rd or 4th century CE. Long ago, possibly as early as 2600 BC, a tribe speaking an ancient Celtic language arrived in Ireland. By the 3rd or 4th century BCE, that language had evolved into Primitive Irish. Inscriptions in Primitive Irish still survive today, carved in stone in the Ogham alphabet. By the 6th century, Irish monks were scribbling in Old Irish in the margins of Latin manuscripts. How old is the Greek language? The earliest known written example is from 1450-1350 BCE. Where is Greek spoken? Mostly in Greece, Cyprus, Italy, Albania, Turkey. Greek has probably been around since at least 3000 BCE. However, the earliest known written example we have is on a Mycenaean tablet in the Linear B script, from 1450 BCE. How old is the Aramaic language? Aramaic is at least 3000 years old. Where is Aramaic spoken? Small groups of Aramaic speakers live in Iraq, Turkey, Iran, Armenia, Georgia, and Syria. People spoke Old Aramaic in the Fertile Crescent as far back as the Iron Age, with the earliest inscriptions dating back to 1000 BCE. First, it was the language of the Assyrian Empire. Then, it was the language of the Achaemenid Empire. And then, it evolved into a sort of lingua franca for the entire Middle East. Eventually, though, Arabic replaced it. Today, only small pockets of Aramaic speakers remain in places like Iraq, Armenia, Iran, Georgia and Syria. Obviously, this list is far from comprehensive. If I missed your favorite ancient living language, feel free to mention it in the comments. https://www.k-international.com/wp-content/uploads/2017/04/oldest-languages.png 320 702 Alison Kroulek https://www.k-international.com/wp-content/uploads/2018/09/weblogo-V7l.png Alison Kroulek2017-04-06 13:15:182017-04-06 13:15:18What Are the Oldest Living Languages? What about the other Celtic languages? Does only Irish survive yet? I’ ve been taught that there are some Gaelic languages still spoken in Scotland, Wales and even in the northern west of France. Thanks and best regards. Of course there are other Celtic languages! There’s also Welsh, Breton (that’s the one you’re thinking of in NW France) and Scottish Gaelic. Manx and Cornish were once considered “extinct” but revival efforts have been somewhat successful. Welsh and Irish are probably the oldest of the group. Welsh may even be older than Irish but Irish has the first written records so I went with that. Another very ancient language that is not mentioned above is Berber- also known as Amazigh. It dates back to thousands of years before Christ. It is spoken in different dialects in North African countries, mainly in Morocco, Algeria, Tunisia, Lybia, the Siwa region of Egypt, Kanari Ilands, Mauritania, Niger, Mali, and a part of Burkina Faso. Its total speakers are around 50 million. Mayan? Earliest inscriptions date to 3rd century BCE. It does not seem right, because it is not right. Human speech is hundreds of thousands, if not millions of years old. The oldest living language on Earth until 2015, scientifically approved as 65+thousands years old, is language Boa of Andaman Islands. Of course not! But the languages people speak have changed over time. These are some of the oldest living languages, meaning languages that people still speak. And it looks like Bo is extinct, unfortunately, along with all of the other languages in that family. This is about continuously spoken languages, please. Many others spoken earlier, before ancient Hebrew and Aramaic, are extinct. And a few are lesser known and not part of this document. That’s an odd perspective. I would’ve understood a mention of Icelandic, concidering its conservatism that allows to see modern Icelandic and one in thousand year old sagas as the same language. But Persian and Old Persian? Seriously? And what exactly is “Chinese”? If you imply that modern Mandarin is the same language as Classical Chinese, why not add “the Romance language” to the list as well, spanning from Ancient Rome to the 21st century? And if you’re talking about languages with the longest traceable uninterrupted histories, why include Hebrew and exclude Latin or Sanscrit with their daughter languages? Hey, I mentioned at the beginning that this would be kind of arbitrary because of the way languages evolve, didn’t I? Feel free to write your own list and link it here, if you’d like! Alison is right. I’m Chinese. It is true that we don’t really speak like olden days’ Chinese, but the words and usage today is still very much similar to early Chinese civilization. Sanskrit? It’s not extinct yet! Kannada is a south indian languge that is existing continually and should be looked at as the longest living language as per UN. They “forgot” to list down the Macedonian Language which is also one of the languages on Roseta Stone. It’s quite weird since the name Macedonia is written in The Bible and Macedonian Kingdom exists before the Christ. Because “Macedonian” was a Greek Dorian dialect. Because the language of modern state FYROM has nothing to do with the ancient Macedonian dialect of the Greek language. Learn your facts. Tamil is the first language in the world. Tamil History is too long if you research you know the best language. can you please share the evidence. I am keen to see and accept it if there is one. So I am confused! If Tamil is the oldest language, then how come all the Hindu religious texts are written in Sanskrit? Tamil is one of the oldest living languages. Sanskrit is older but Tamil has more deep rich culture. You can refer Purananuru one of the old works of literature refer the river ‘Pahuruli’, which is supposedly from the drowned Kumari Kandam (Lemuria). archaeological evidence, then we have stone inscriptions and coins from 500 BC and much before (there is a lot of politics in properly analyzing these stuff! Let me not get in those! What about kannada it is one of India’s official language n it dates back to 3BCE which means it is the oldest living language. it also has 51.1 mn speakers according to recent census. I’m confused! Albanian language is around 3500 years and not on the list? Welsh is much older than Irish and has very different origins (the Welsh and Irish are categorised as ‘celtic’ but in reality have different ancestors). I think you included ‘irish’ to please the American Irish!! For some reason a branch of the old celts took a dislike for the letter C and replaced it with P. This is evidence that Irish gaelic is older than welsh since welsh is one of the breakaway P languages making it newer or ‘younger’. Examples are welsh for son is Map Irish gaelic for son is Mac or Mag, welsh for head is pinn and Irish is ceann or cinn in old irish. BCE means Before Christian Era and CE means Christian Era. It is more commonly used now than BC (Before Christ), and AD (Anno Domini (year of the Lord, Latin)). 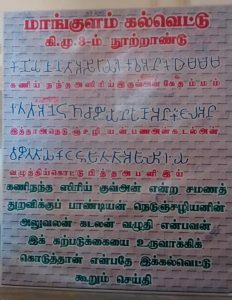 It is because of our one sided Indian political system Tamil language is not recognized properly and without any argument this is the oldest language the research says. Sanskrit is not to be considered as oldest language as it is “Devabasha” was used by particular community and this language mixed with Parsi language Hindi language formed and incidentally this is youngest language in India which the Indian political parties thinks this to be ruled India. After all researches finally Tamil considered the Classical Language. I think You need to search and read more as this information is not true and not accurate. This list has entirely overlooked the African continent which is the cradle of mankind. Or is it your opinion that when the emigrations happened out of Africa, those who stayed behind went mute zechariah style till Europe became ‘mighty advanced’ and Asia became ‘so darn magnificieeeent”(sarcasm..cough…sar..cough..cough). That’s a good point, George, and thank you for pointing it out! If I’d seen them when I was researching I would have included them. I will look into it and see why that it is.